Christiane Amanpour will officially replace Charlie Rose on PBS stations across the country. The move was made official at the public broadcaster's annual meeting on Tuesday. It has been in the works for five months, ever since PBS stations began replaying Amanpour's CNN International program. 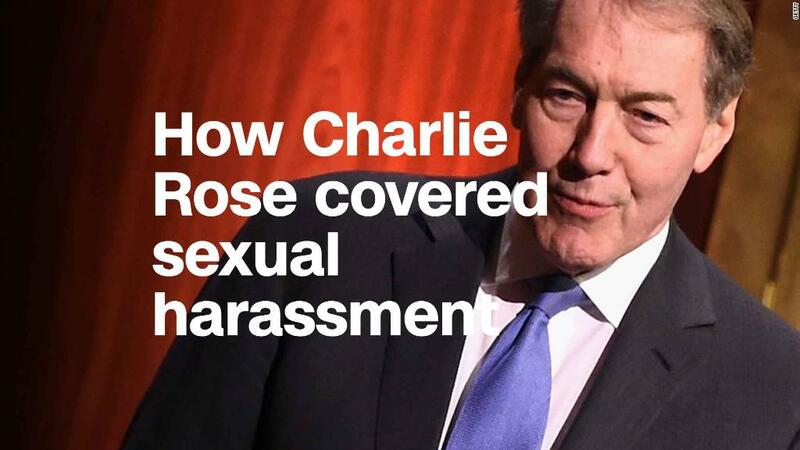 Those half-hour Amanpour rebroadcasts were an interim replacement for Rose's 11 p.m. talk show, which was cancelled last November after women came forward to accuse him of sexual harassment and misconduct. Now Amanpour is expanding to an hour, like Rose's show used to be. The show will have a new name, "Amanpour & Company," and a stable of regular contributors. The changes will take effect in July. "I'm delighted to expand my role at PBS from interim to permanent along with this remarkable diversity of voices and views," Amanpour said. "Never has the time for exploring our world and America's place in it been so urgent." Her statement also alluded to Rose's exit and the reason for it: "I am also thrilled to be a female filling this role at this time!" The expansion was first reported by The Hollywood Reporter. Amanpour is CNN's chief international correspondent. Her weekday program "Amanpour" has been on CNN International since 2012. The expanded edition will continue to be shown on CNNI, which is primarily available outside the United States. The PBS deal will give her a bigger U.S. audience. The expanded program is being described as a "collaboration" between CNN and the powerhouse New York City public broadcaster WNET. The financial terms were not disclosed. Amanpour will continue to host mainly from CNN in London while four new contributors will join from a WNET studio in New York. The contributors are Walter Isaacson, Michel Martin, Alicia Menendez and Hari Sreenivasan. "For decades, a national audience has turned to PBS for smart conversations about the ideas of our time from diverse voices. That trusted tradition continues with 'Amanpour & Company,'" WNET president and CEO Neal Shapiro said in a statement on Tuesday. After the initial story about accusations against him was published last November in the Washington Post, Rose issued a statement in which he said, "It is essential that these women know I hear them and that I deeply apologize for my inappropriate behavior. I am greatly embarrassed. I have behaved insensitively at times, and I accept responsibility for that, though I do not believe that all of these allegations are accurate. I always felt that I was pursuing shared feelings, even though I now realize I was mistaken."